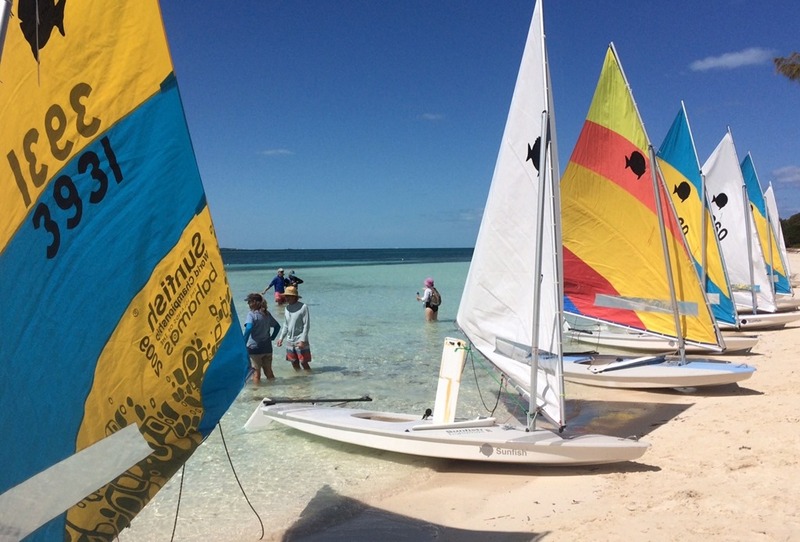 Race Day – nine women sailors had a blast sailing Sunfish on the beautiful Sea of Abaco. Competing in the Di Hunter Women’s race. All for fun. 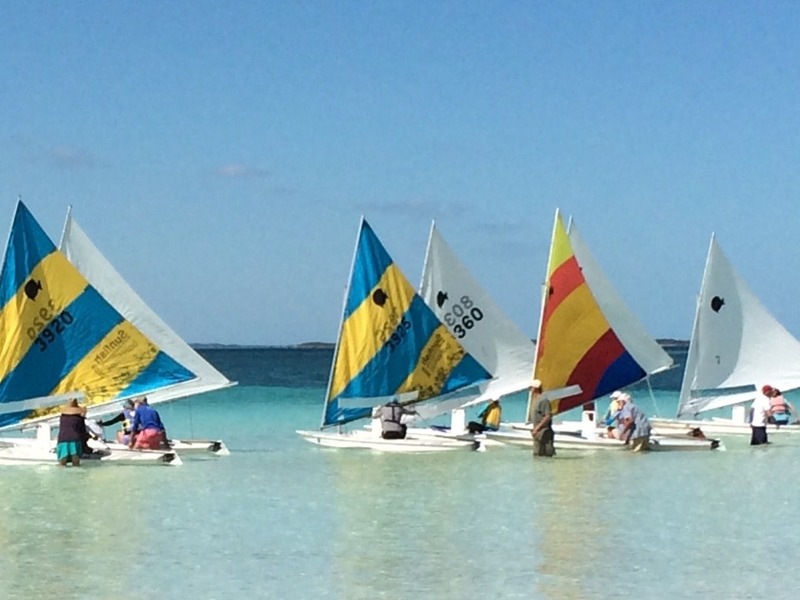 It’s a standing start: the boats are lined up on the starting line in about 3 feet of water just off the beach of Nathan’s Bay. Our support crew holds our boat in place and when the horn sounds, off we go. 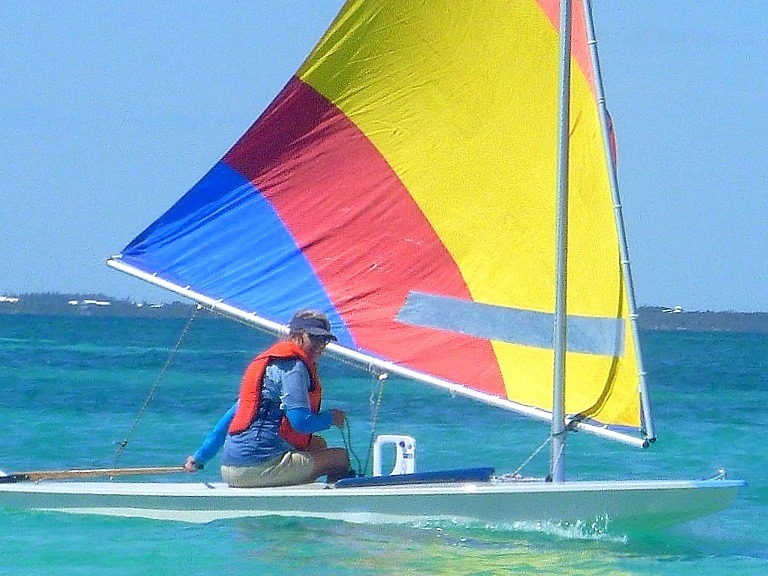 I’m in the Sunfish with the rainbow sail and Goldwin is holding my boat. Down to a mark off Elbow Cay near the Firefly restaurant, where we tacked and then reached back to Nathan’s Bay, in about a 14 kt breeze. There was one capsize – at the start – and other minor mishaps. But everyone finished the race. And I took a FOURTH. Yeah! Right behind three sailors who race in the real races every other Sunday. Here is Di Hunter, who created this fun event. 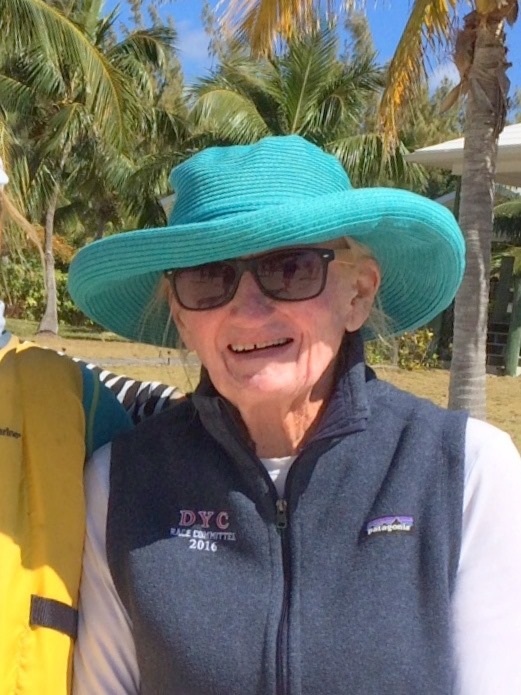 She brings her catamaran to Hope Town from Massachusetts every year – she’s 88. 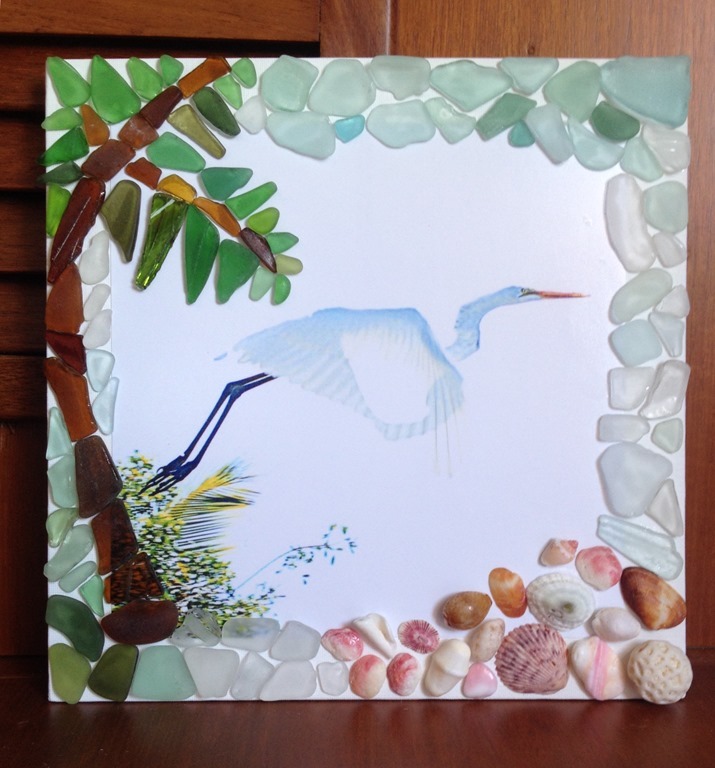 It’s a photo of an egret taking off by the Hope Town Sailing Club dock, framed with sea glass and shells. Fun. It s beautiful. Congrats on your 4th place win. Love Di Hunter and your painting!